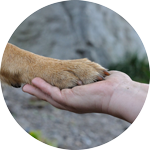 AJTCVM Statement of Informed Consent: Animal owners (clients) and their animals have a right to privacy that should not be infringed upon without informed consent. Identifying information, including animals’ names, initials or medical record numbers, should not be published in written descriptions or photographs unless the information is essential for scientific purposes and the animal owner gives written informed consent for publication. Clients must consent to all photographs of animals included in a manuscript. Pedigrees should not be published without signed consent from the involved breeders. Identifying details should be omitted if they are not essential. If identifying characteristics are altered to protect anonymity, such as in genetic pedigrees, authors should provide assurance that alterations do not distort scientific meaning and editors should so note the changes. Authors should identify individuals who provide writing assistance and disclose the funding source for this assistance.